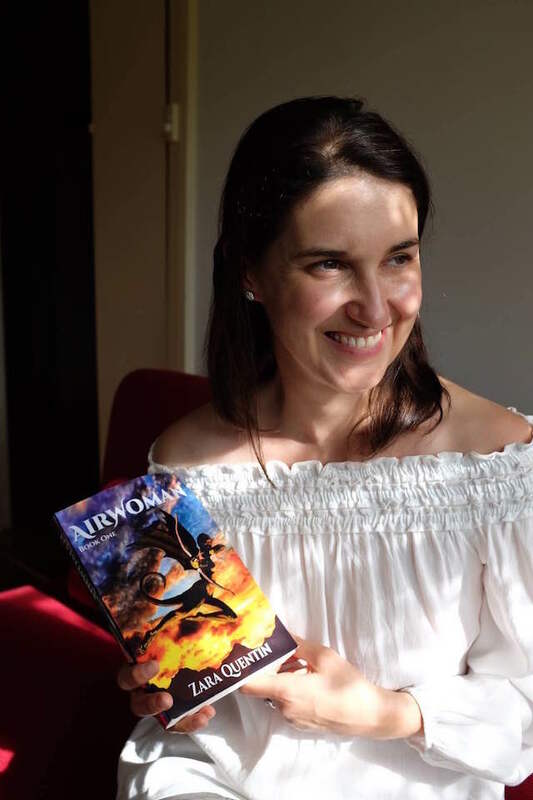 Zara Quentin is an Adelaide mummy who in amongst raising her three adorable children, has also just published her first young adult fantasy fiction novel, Airwoman! 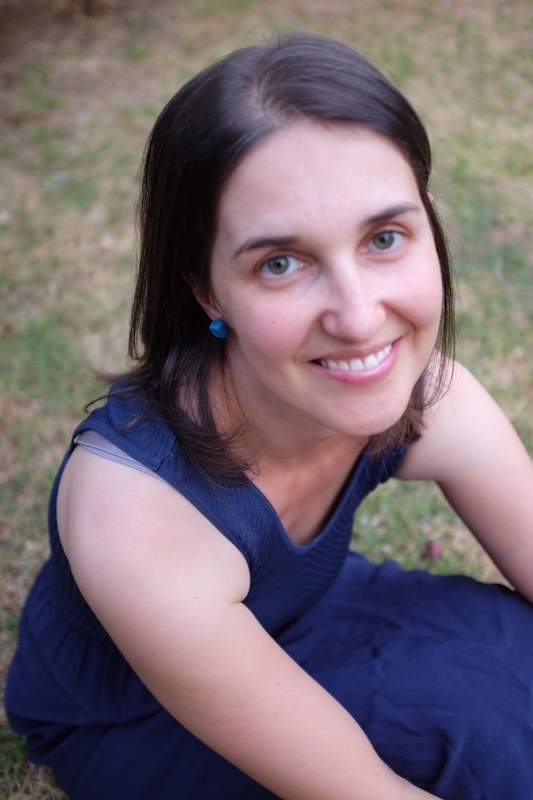 Zara graduated from Law with an Honours thesis in international criminal law but some time later met her husband and became a mummy, and rediscovered a passion for writing. 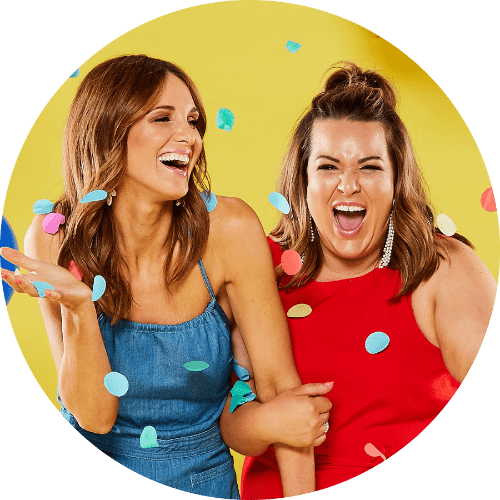 It was a passion that would help Zara find her own sense of identity outside of motherhood, and it helped her through some of her toughest times battling postnatal depression. It was a pleasure to speak to Zara about all things motherhood, travel and the healing benefits of writing. Congratulations on publishing your first novel! How does it feel? I’m feeling a whole bunch of feelings right now! It’s amazing to hold the book in my hands and to see it available from online bookstores—a real thrill. I have to admit to some nerves as well—having my work out there for people to read and judge is pretty confronting, but that’s part of being an author. On the whole, though it has been a lot of hard work to publish it, now that I can actually see my work out in the world, it’s totally worth it. Airwoman is the first book in a young adult fantasy series that promises mystery, romance and an adventure into an amazing new world. It’s protagonist, Jade Gariq is the daughter of a respected Taraqan leader, and the heiress to Gariq Industries—a large, cross-Portal trading company. Her future appears to be set. Except for one thing: It’s a life that she doesn’t want. Jade has always dreamed of joining the Traveller Force—the elite Taraqans who traverse the Betwixt, filled with terrifying beasts, and who protect and patrol the Dragonverse. How do you actually write a book? Do you map it out from the beginning so that you know what the ending will be, or is it a journey as you go? In writer’s circles, I’m what’s known as a “planner”. That means that I would plan out my novel prior to writing the first draft. During this process, I might do some free writing or map out character back stories, but I don’t start actually writing the story until after I have made a plan. This is important for me because I need to know how the story is going to finish before I actually start writing it. For Airwoman, I spent about six weeks planning out the novel. I started by brainstorming broad ideas for the story and the characters, before drilling down into exactly what would happen in the plot, scene-by-scene. By the time it came to writing, I had a comprehensive plan for the novel to work from. The first draft then took a couple of months to write, and then it went through a few rounds of revision, editing and then finally proof-reading before being published. You’re a busy mum of three children, you’ve lived in three places (including New Zealand) in the past three years with your husband’s work, how did you find the time to write a book in amongst all of that? It’s true, these last few years have been a very busy time! I could have easily decided there was too much going on in my life to write a book as well, but I make a conscious effort to write on a regular basis, especially since the birth of my second child when I was diagnosed with post-natal depression. During this time, I discovered that allowing myself a regular, small amount of time to write, helps me to manage my mental health. Since then, I have tried to keep a regular writing routine—even when life is busy. For me, writing regularly—and having that time to myself—helps me to manage the other parts of my life. The practice of writing regularly also helps with writing a novel as it requires a certain amount of momentum to get to the end, and regular writing time is critical to that. You’ve mentioned publicly that you started writing when you were dealing with Post-Natal Depression after your second child was born, how did writing help you through that time? After the birth of my second child, I was diagnosed with post-natal depression and part of my treatment for that was to see a therapist for a number of sessions. During one of those sessions, we discussed that I like to write. The therapist suggested that it might be beneficial to me to take a little time, each day or at least regularly, to write. At that time, I did a lot of free-writing­—just whatever came to me—rather than novel writing, but I found that the days I had some time to write, I felt better within myself, and coped better with the demands of two young children. So, how did writing help me? It helped me in a number of ways—first and foremost, I think it helped me to have something for myself. Something I didn’t have to share with anyone else. As a parent, at that time, I really felt like I was losing myself. I wondered if I would know who I was when my children grew up and got their own lives. Would I remember what I like to do? Would I know myself? Writing gave me an identity outside of motherhood that has helped me to overcome those fears. In addition, writing gave me a short escape from the drudge that comes with motherhood. Of course, there are wonderful, magical times that come with parenthood, but it also often be tedious, boring and plain hard work. For me, it was a great distraction to have something else to think about other than how much my kids were eating, how many more loads of laundry I needed to do, or whether there was a new breed of bacteria growing somewhere in the house. Writing also helped me to understand that I am a creative person. and it’s important for me to have a creative outlet, or I don’t feel fulfilled. I suppose it’s about balance—what the kids need from me, what my family needs, what the household needs to continue to function—as well as what I need for myself. Recognising that I also have creative needs as part of this equation helps to keep the balance. What everyday habits did you have to adopt to stay on track and ‘just keep writing’ your book – especially on those days where you were tired, stuck for inspiration or words just wouldn’t come? I have a target of writing 500 words per day. It sounds like a small goal—and it is—but it forces me to get in front of my laptop and start. Once I get to 500 words, I usually have enough momentum to write more. However, on the days when the words won’t come, as long as I write 500 words, I let myself stop. 500 words keeps the practise regular and achievable, that’s why I like it. My day usually starts about 6am when the baby wakes up and the bigger kids wake up soon after that. Then there’s getting everyone’s breakfast, getting the kids dressed and ready for the day. Most of the time, I try to squeeze a shower in too! Then I drop my daughter at school and then I usually take my boys out to do something in the morning—an outing or activity. Then, at around midday we go home for lunch and my one-year-old goes down for a nap. Often, my son and I have some “rest” time doing something quiet together. Then once the baby wakes up, we’re off to pick up my daughter from school, then home to do homework, make dinner, get the kids through the bath, and off to bed. Then, at about 8pm, I sit on the couch with my laptop and start writing. I write for a couple of hours. Often, I’ve been thinking about my story during the day, so when I sit down to drafting, my fingers start flying over the keyboard. Then I go to bed and the process starts all over again the next day! When I think back to the person I was at 18 years old, I remember believing that I wasn’t creative enough to write a novel, no matter how much I wanted to do it. If I could tell my 18-year-old self anything, it would be that creativity is something that can be cultivated and nurtured. It’s not something that you either have or you don’t. The only think stopping me from allowing myself to pursue creative writing, even as a hobby, was my own limiting beliefs. 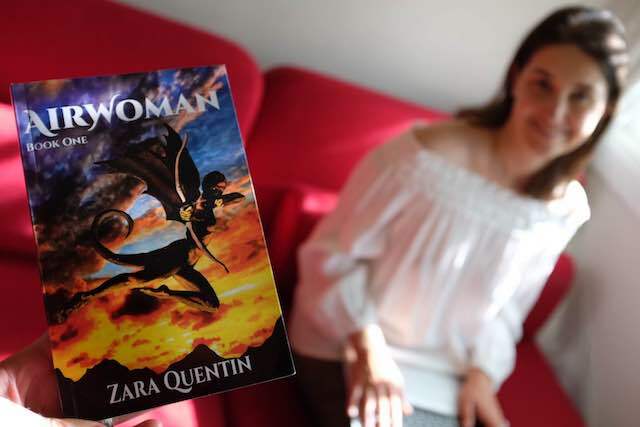 What’s next for Airwoman and Zara Quentin? Airwoman is the first of a young adult fantasy series. I’m spending a little time to focus on marketing and promotion of Airwoman—which is all new to me—then I intend to get straight back into the second book, which I plan to release in late 2017. Follow Zara on Facebook or visit her website. To purchase Airwoman in e-book or print, head here. Next PostStyle Hutt Boutique - SA's fashion rental store!